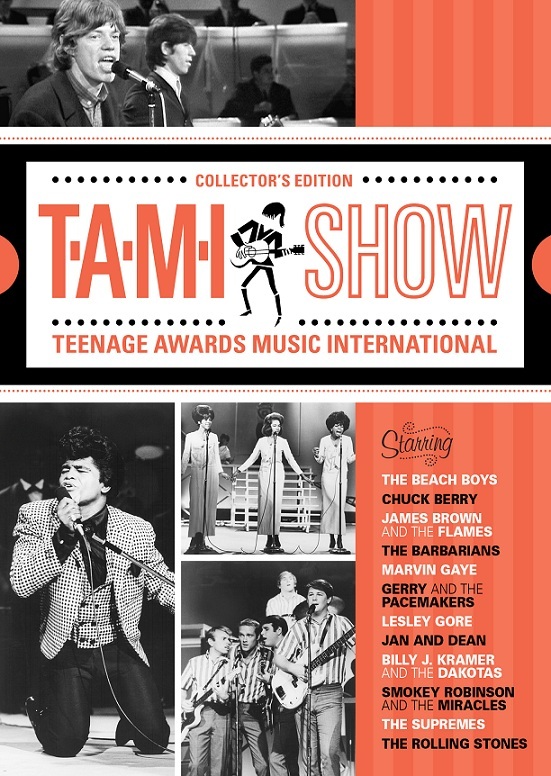 Schlock-Wire: The Legendary TAMI Show Rock-Doc Coming To DVD From Shout! Factory – Schlockmania! James Brown and The Flames, Chuck Berry, Marvin Gaye, Smokey Robinson & The Miracles, The Supremes, and more! Los Angeles, CA – One of the rarest rock events ever captured on film, the 1964 concert known as The T.A.M.I. Show, featuring performances by future Rock and Roll Hall of Famers the Rolling Stones, James Brown, Chuck Berry, the Beach Boys, Marvin Gaye, Smokey Robinson & The Miracles, the Supremes, and many others, will be officially released for the first time by Shout! Factory on March 23. The T.A.M.I. Show: Collector’s Edition includes exciting new bonus features including new commentary by director Steve Binder, original T.A.M.I Show radio spots, a 20-page booklet with liner notes by Don Waller and rare photos and memorabilia. The T.A.M.I. 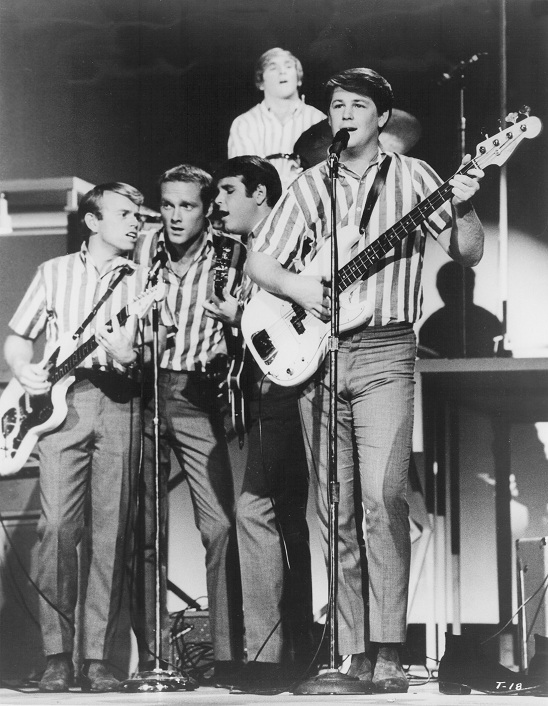 Show was filmed live at the Santa Monica Civic Auditorium in 1964, a mere seven months after the Beatles appeared on The Ed Sullivan Show and introduced the Swinging ’60s to America. This legendary film has never been available on DVD and hasn’t been seen in its entirety since it originally appeared in theaters, including its “world premiere” at 33 Los Angeles area theaters on November 14, 1964. Mastered from a new High-Definition transfer and restored to its original length, this complete version features the Beach Boys performances that were removed shortly after the film’s initial theatrical run. The T.A.M.I. 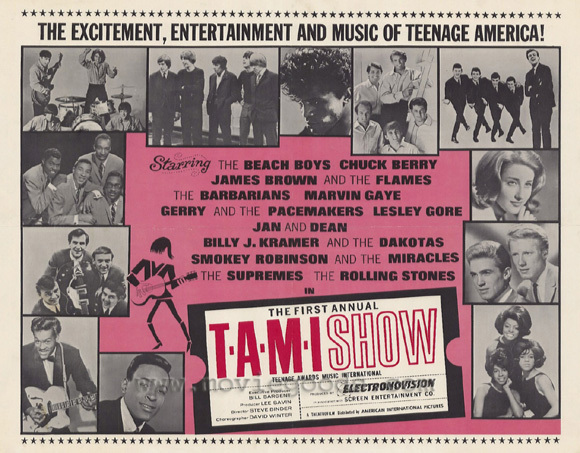 Show is the first concert movie of the rock era, capturing such superstars as the Rolling Stones (with the late Brian Jones), James Brown, Chuck Berry, the Beach Boys, the Supremes, Marvin Gaye, the Miracles (featuring Smokey Robinson), and many other Motown and British Invasion acts in their early prime. Aside from the five rock groups, all the performers are backed by a band that we’ve now come to know as “the Wrecking Crew,” famed for playing on all the Phil Spector-produced hits, and included future stars Glen Campbell and Leon Russell among others. Fanita James, Jean King, and future solo star Darlene Love, billed as The Blossoms, provide backing vocals. This special set is what music fans have been waiting for: the ultimate collector’s edition of this long-unavailable landmark film. 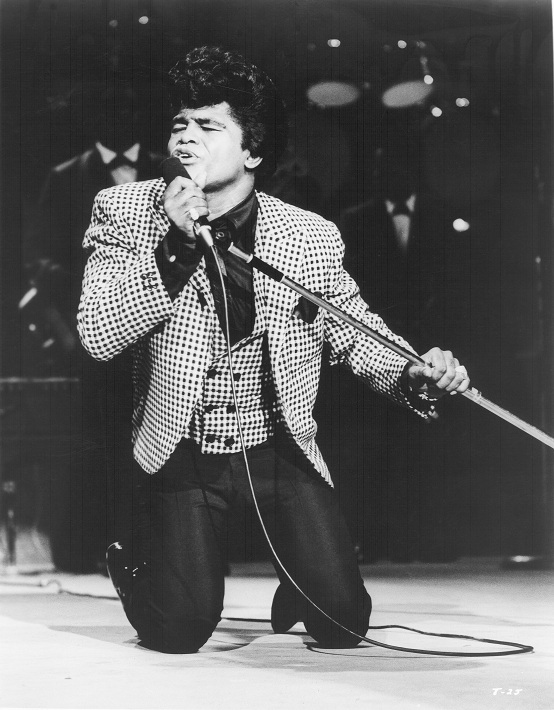 Critically acclaimed and long sought after, the film contains James Brown’s legendary performance, which was a major influence on Michael Jackson, Prince, Mick Jagger, Sting, Beck and many others. Rick Rubin calls it “the single greatest rock & roll performance ever captured on film.” The T.A.M.I. Show was added to the Library Congress’s National Film Registry in 2006. Previous ArticleSchlock-Wire: 2 Vintage Gloria Gaynor Disco Classics From Big Break Records!